Vodaphone produce some useful checklists for parents of different aged children to support them with addressing online safety issues. Engage with the gaming environment and begin to understand what makes it is so attractive to young people as well as the types of activities that they enjoy! Talk with your children about the types of game(s) they are playing. Ask them to show you or have a go yourself. Some games may offer children the chance to chat with other players by voice and text. Ask them who they are playing with and find out if they are talking to other players. If chat is available, look at the type of language that is used by other players. Look out for age ratings and familiarise yourself with the PEGI icons on games. The PEGI classification gives you a clear indication whether a game is suitable for your child. Childnet also have a skills school with online videos talking through the safety features of sites which parents can work through with their child. 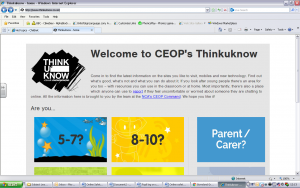 The Childnet International – Know IT All for Parents site includes video guides for parents in a number of languages. The PEGI website contains information about games ratings and can be found at the following link. Parents can search for a game to find out about online associated online safety issues as well as the age rating for the game. Two examples of the information the site provides about games are shown below. The government has launched a new online tool for schools across the country to give parents the best possible advice and tips on preparing their children for adult life. 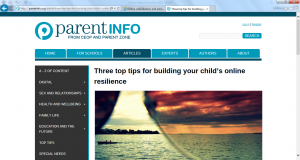 The site has been created by CEOP and parent zone and can be found at the link below. 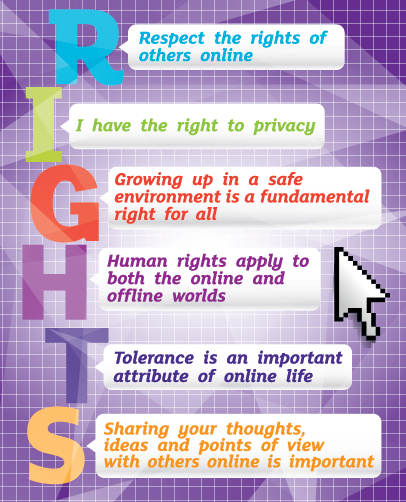 This site gives lots of information for parents as well as games and quizzes for children to ensure they understand how to stay safe online. 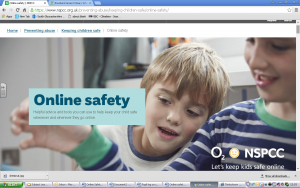 The NSPCC also provide a range of information and tips for parents and children about staying safe online and what to do if things go wrong online.